Thus, affiliates should get the most of it from their traffic and this is where conversion rate optimization comes into play. Considering Paul Bryant‘s results on my old affiliate website (364% lift in few hours of work), and many more experiments, CRO becoming a top strategy for affiliate marketers isn’t unexpected. Before starting it is crucial to know what to fix and what to expect after the fix. Click-through rate (CTR) is the number of visitors you’ve successfully sent to the merchant’s offer divided by the total number of people who viewed your review. 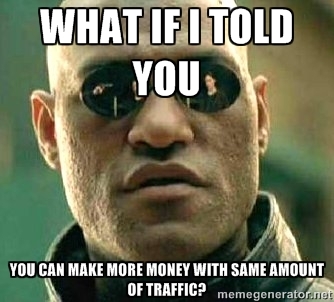 It is obvious that you need to send more people to product site to make more money. Conversion rate is the number of successful actions you want your visitors to take (most of the times an affiliate sale) divided by again number of visitors. Your conversion rate is proportional to your CTR most of the times (unless you’re not deceiving people to visit the merchant’s site). A value proposition is a promise of value to be delivered and a belief from the customer that value will be experienced. In other words, your value proposition is the answer of the question asked by your visitors: “How can I benefit from what you are offering?”. Clear and easy to understand: Stay away from confusing statements, technical details that has nothing to do with visitors and clearly tell how your visitors take advantage of your offer. Problem solving: You need to be solving problem people are facing with the product or service you are offering. 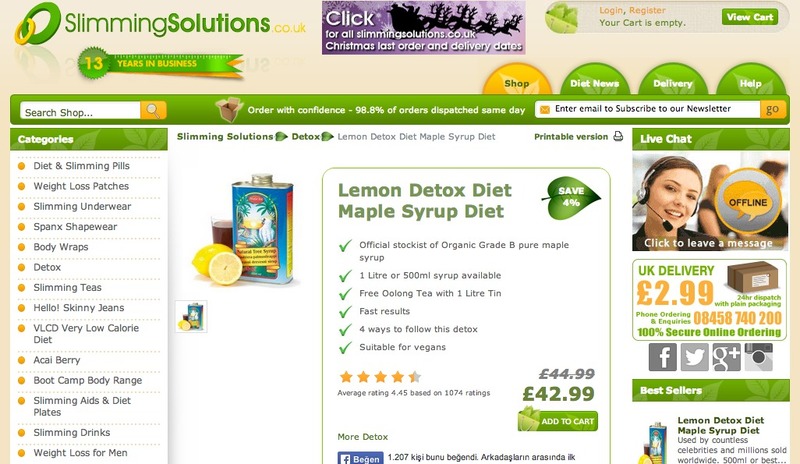 If you are promoting weight loss products, there is no point claiming you’ll be improving their glycemic index. Different from competitors: How are you different from your competitors? Is your service or product providing any proof that you solve a problem others can’t? After you have a kickass value proposition, what you need to make sure is it stands out because when your visitors don’t see or understand it, they leave your site, simple as that. It lacks clear logo or tagline indicating the purpose of website. There is no way to understand what is offered. Title is irrelevant, “What is it about diet pills that really work?”. Hey, is there anyone still write “Welcome to my site” in this year? There is no simplicity or flow, only an irrelevant title and big block of text which won’t be read by any visitor. Again, it is not clear what is offered by writer of this website or Bluehost. Is it the review or just discount codes? 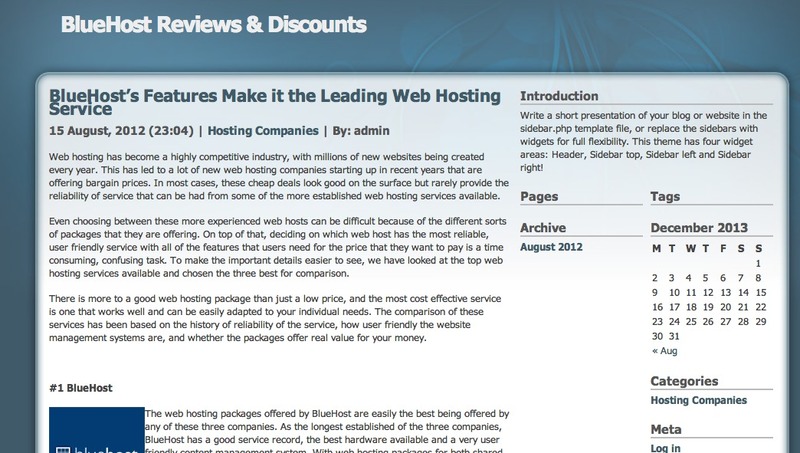 Hosting companies are ranked in the post BlueHost was #1, however promise was to write a review of Bluehost, not to compare it with others. Everything in the righthand menu is irrelevant to the value proposition (if exists) and make it difficult to understand what the site is about. Did I come to this website for calendar? 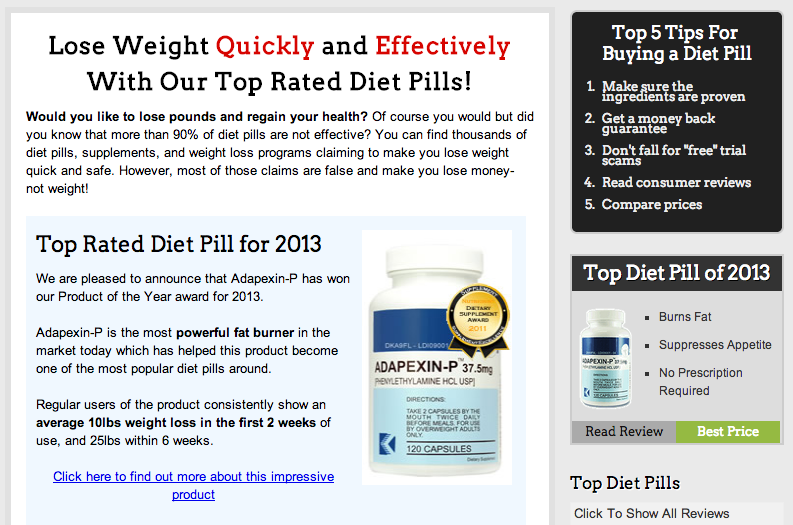 Title is clear and tells what this site is about: Finding a diet pill to lose weight quickly and effectively. A product is offered to solve the problem and what makes the product differ from the others is said (it works). Not in a strong way in my opinion but it is possible to provide additional evidence in review page. Value proposition stands out and can be easily understood by the visitor. Value proposition must be easy to understand, clear, and visible on the page. Distractions include irrelevant texts, images, menu items, widgets etc. You need to make your visitors concentrate on your offer and take action you want. You definitely don’t want your visitors to click on a link (let’s say, your blogroll links) that has nothing to do with expected action like going to merchant site through your affiliate link. I know this is not an affiliate website but the logic is same. You need your visitors to take a specific action such as clicking your affiliate link. Everything is green including “Add to Cart” button. It does not stand out and hard to find. Have you seen the distractions? There are few dozen of links surrounding the real action button. Is it logical to make people click on their social buttons? Is it what they want from a person on their product page? 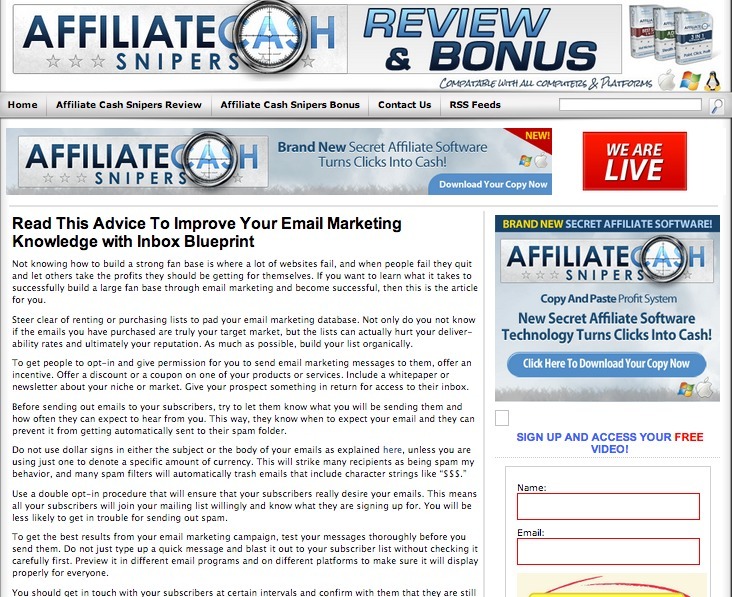 In first look, it sound safe to say that this affiliate website has a neat design. Yes, in fact, it looks good but there are many distractions. One of the links on top navigation (Skin Care, for example)? All links except the one that matters are distractions and drive people away from your website. In order to increase CTR, you need to get rid of all irrelevant links. It is also a good practice to remove menu bar for product review pages. If you are an affiliate marketer or any other type of writer, you better start hating them since they shatter your conversions. Never do them. Use small paragraphs: It is difficult to read big blocks of text. Do not write any paragraph longer than 2-3 lines. Use bullet points, numbering, bold, and italic: Our brain processes information easier when given as a group. Use advantage of this. Concentrate on benefits not features: As I mentioned in the beginning of this article, people need to benefit from your offer. Your readers do not care about slogan of your brand or the feature of your product. Instead of giving details of which chemicals are in diet pill, tell how each of them makes people lose weight. Do not claim anything without proof: If the diet product you are reviewing is safe, make sure you provide a document or other type of backup. Will you read this text? No, you won’t. Because there is no contrast, bullet points, or any other element easing the read. Not to mention about distractions. Easy to read, small paragraphs. Bolds and bullet points are properly used. Language is simple and benefit based. There is no jargon or technical details. Write your reviews easy to understand, clear, and benefit based. If you enjoyed this article, please share and leave a comment! Thanks for helping us by giving such an useful information. 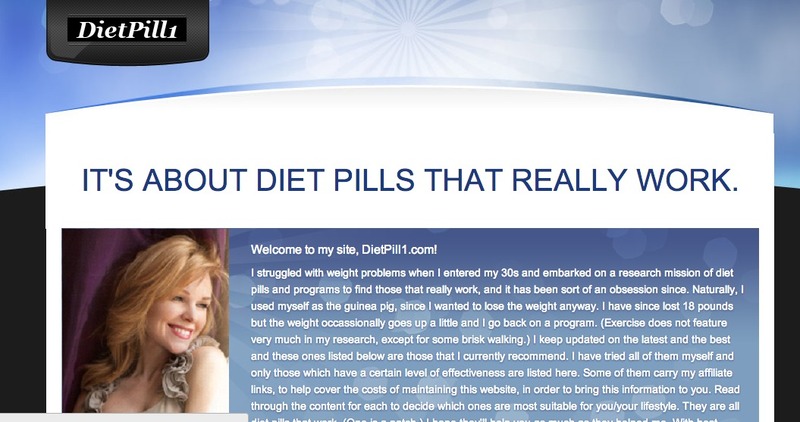 One thing i want to know is that the site name of the diet pills which you like as good. Means ;The Adapxin-p” site. could you share the site name with us as it is looking very good and i want to see it in more details. Thanks for the information you have provided in this blog. It has been quite helpful to me. I will soon go and apply what I have received here to improve my blog. Quite appreciated. You’re welcome mate. Don’t forget to join my list to receive new articles I post.